Alex McLeish admits he ‘loved every minute’ of being Scotland manager after declaring himself open to a second spell at the helm. McLeish led Scotland to victory over France in Paris before a late defeat by Italy saw them miss out on a place in Euro 2008. The 58-year-old quit to move to Birmingham in the English Premier League after 10 months and would not turn down a second chance. “I could never rule the Scotland job out,” the former Rangers and Hibs manager said. “Obviously I’m not in a job now so people might think it would be easier for me to take the job, and of course it would be. I don’t have any issues except just saying: ‘Yes, I’d love to do that’. The Scottish Football Association is finalising its recruitment process this week while Mackay plans for the visit of Holland on November 9. 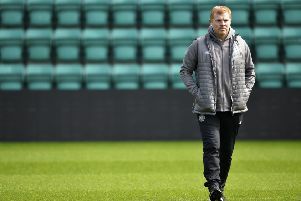 McLeish’s name has been high on bookmakers’ lists given the feelgood factor of much of his time at the helm, which saw Scotland embark on a four-match winning run before defeats by Georgia and Italy denied them a finals appearance. “We had a good spell. It was a short spell, and I loved every minute of it,” said McLeish, who was promoting BT Sport’s coverage of this weekend’s Betfred Cup semi-finals. “At the time I felt I was a bit young to be going into international management, but there was a wee trend then - [Marco] van Basten was in charge of Holland, and [Jurgen] Klinsmann was on the scene with Germany. Bookies’ favourite David Moyes has said he would listen to the SFA but would prefer a return to club management, while former England boss Sam Allardyce ruled himself out. Former Aston Villa and Wolves manager Paul Lambert stated he had not thought about the role for himself after being disappointed with Gordon Strachan’s exit.